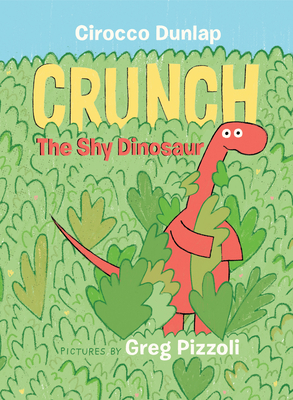 From Cirocco Dunlap (This Book Will Not Be Fun) and Theodor Seuss Geisel Award winner Greg Pizzoli (The Watermelon Seed) comes a charming, giggly read-aloud that illustrates the particular art of making a friend! This picture book is a warm, funny example of how to engage with someone new, who is perhaps a bit different from you. Lessons in friend-making (such as minding personal space and demonstrating interest in another's hobbies) are delivered so subtly that children will absorb them unconsciously as they delight in Crunch's silly hat and dance moves! Cirocco Dunlap (This Book Will Not Be Fun) and Greg Pizzoli (The Watermelon Seed) enchant and surprise us with their first collaboration. A Chicago Public Library Best Book of 2018! CIROCCO DUNLAP (This Book Will Not Be Fun) has written for and performed on Late Night with Jimmy Fallon. She has also written for The New Yorker, the MTV Movie Awards, McSweeney's Quarterly Concern, McSweeney's Internet Tendency, and Funny or Die. You can find her at ciroccodunlap.com, and follow her on Twitter at @ciroccotweets. GREG PIZZOLI is an author, illustrator, and screen printer from Philadelphia. Greg's work has been featured in the New York Times, Communication Arts, and 3x3 magazine, and he's won two Portfolio Honor Awards from the Society of Children's Book Writers and Illustrators. In 2009, he received his MFA from the University of the Arts in Philadelphia, where he now teaches.